If you don’t agree with a decision made by a judge, you can dispute the decision by making an appeal to another court. The appeals court’s primary concern is whether the judge made an error of law in deciding your case. The appeals court will normally not allow new evidence to be heard. It depends on what type of decision you are appealing. If the decision is a final decision – that is, a decision that finally disposes of your rights – then no permission is needed. If the decision is a temporary or interim decision – then you do need permission to appeal. If the amount in question is less than $25,000, or less than $25,000 in periodic payments over the course of a year (e.g. a year of child support or spousal support), then you appeal to the Divisional Court. For amounts greater than $25,000, or for non-monetary issues, you appeal to the Court of Appeal. Appeals of temporary orders are to the Divisional Court. 1. You serve a notice of appeal and a certificate respecting evidence, within 30 days of the date of the order from which you are appealing. 2. Within 10 days, you must file the notice of appeal with the court. 3. The other side must serve a certificate respecting evidence within 15 days after you serve yours. Alternatively, you and the other side can agree on what evidence will be used. 4. You must serve proof that you have ordered any required transcripts within 30 days after filing the notice of appeal. 5. 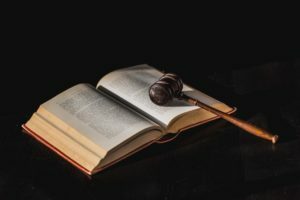 If the other side wants to appeal anything, they must serve a notice of cross-appeal with 15 days after you serve the notice of appeal, and file this with the court within 10 days after serving it. 6. You must serve and file 3 copies of your appeal book and factum, 1 copy of your exhibit book, an electronic version of your factum, and a certificate of perfection within 30 days after filing of the notice of appeal. If you require a transcript for your appeal, you have until 60 days after receiving notice that the transcript is ready to serve and file your materials, and must also serve and file a copy of the transcript. 7. The other side must serve and file three copies of their factum, and an electronic version of their factum, within 60 days after serve of your materials. 8. At least 60 days before the hearning, you and the other side must serve and file three copies of a compenium of evidence and exhibits. You need to make a motion to obtain permission from the court to appeal. Generally, such permission is not granted, unless the matter is of public importance or there have been conflicting decisions on the matter dealt with in your case. Normally, if it is an order for child support or spousal support, you must continue to pay this. Other orders normally are not effective until the issue is decided by the appeals court. The standard for an appeal is very high. Generally, an appeals court won’t reverse what the original judge did unless there was an error of law, or a significant misapprehension of the evidence. See Also: Is the order I have a temporary or final order?